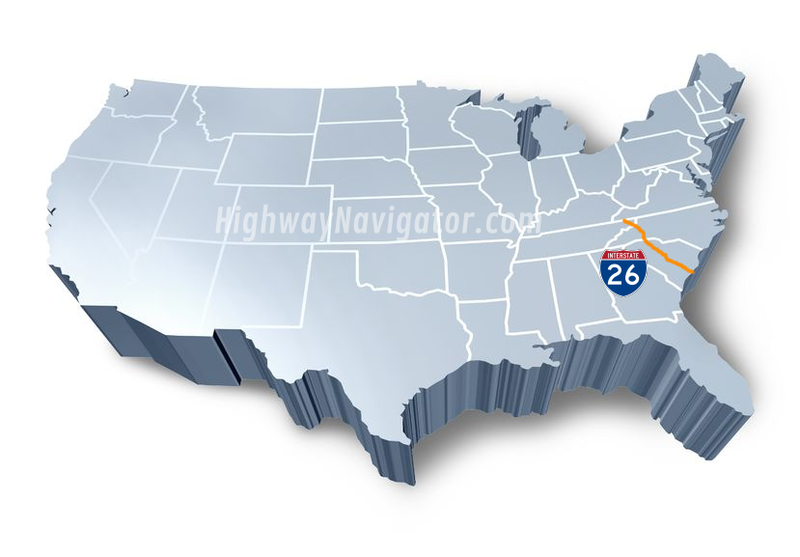 Interstate 26 is an east-west main route of the Interstate Highway System in the Southeastern United States. I-26 runs from the junction of U.South. Route 11W and U.South. Route 23 in Kingsport, Tennessee, generally southeastward to U.South. Route 17 in Charleston, South Carolina. The portion from Mars Hill, North Carolina, east (compass south) to Interstate 240 in Asheville, North Carolina, has signs indicating FUTURE I-26 because the highway does not yet meet all of the Interstate Highway standards. A short realignment as an improvement in the freeway was also planned in Asheville, but has been postponed indefinitely due to North Carolina’South budget shortfalls. Northwards from Kingsport, US 23 continues north to Portsmouth, Ohio, as the Corridor B of the Appalachian Development Highway System, and beyond to Columbus, as the Corridor C. In conjunction with the Columbus-Toledo, Ohio corridor formed by Interstate 75, US 23, and State Route 15, I-26 forms part of a mostly high-speed four-or-more-lane highway from the Great Lakes to the Atlantic Coast at Charleston, South Carolina. There are no official plans for extensions north of Kingsport, Tennessee.